On The Gallops: Cheltenham Flashback: What Were The 2018 Festival Highlights? Cheltenham Flashback: What Were The 2018 Festival Highlights? Nicky Henderson’s Buveur d’Air went off as the odds-on favourite to win the Champion Hurdle after romping to victory the previous year. Punters backed him to the hilt as he went into the contest on the back on a nine-race winning streak, and he duly delivered. He started off strong and looked to be coasting to victory, but stablemate Melon made things interesting with a phenomenal late surge. Nearing the end of the race, Melon edged in front and punters’ hearts were in their mouths. Yet Buveur d’Air summoned up heroic reserves of strength to claw back the deficit, inch by inch over heavy ground, and claim victory by a neck, sparking scenes of joy in the crowd. Buveur D’Air extended his winning run to 11 when he landed the Fighting Fifth in early December, but the run ended when he finished second to Verdana Blue in the Christmas Hurdle on Boxing Day. Another heavily backed odds-on favourite was Samcro, a budding superstar from the Gordon Elliott stable. He went all the way in to 8/11 to win the Grade 1 Ballymore Novices’ Hurdle, the opening race on Ladies’ Day, after being hailed as the Messiah of Irish racing. Owner Michael O’Leary, of Ryanair fame, said he was “s******g bricks” before the race, but he need not have worried. Samcro made a promising move on the outside as they approached the third last flight and displayed a brilliant turn of pace to take a four-length lead going into the final hurdle. Black Op made things interesting by giving chase, but Samcro ended up winning by two-and-three-quarter lengths. A star-studded field assembled to battle it out for the Queen Mother Champion Chase, the leading minimum-distance chase in the National Hunt calendar. Min and Politologue were given a strong chance of securing victory, while question marks lingered over the favourite, Altior, due to his injury problems. He had won 11 races in a row before the Cheltenham Festival, including the Novices’ Chase in 2017, but some feared he could not keep up with the likes of Min and the returning Douvan. Yet Altior made a mockery of such projections by powering to a magnificent win. He was behind the leaders at the home turn, but Nico de Boinville pulled him away from congestion for a challenge and he crossed the final fence neck-and-neck with Min, before storming out of sight to win by a comfortable margin. 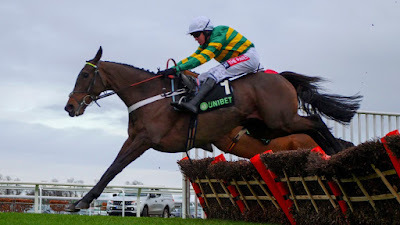 Earlier this month he extended his winning run to 17 races when he landed the Clarence House Chase at odds of 1/10 and he will be a popular selection among punters at leading sites like Sporting Index at this year’s Cheltenham Festival, where he will attempt to match the record of 18 wins set by Big Bucks. The Cheltenham Gold Cup is the biggest jumps race of the year and it always attracts a sensational field. The 2018 renewal was no different as Might Bite, Native River, Definitely Red and Road To Respect were among the superstars lining up to battle for fame and fortune. 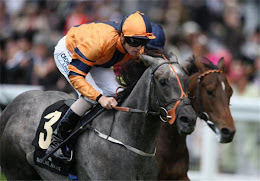 There were 15 runners in total and every one of them was given a chance of success by various pundits in the build-up, but it ultimately developed into a thrilling duel between the favourite, Might Bite, and the second favourite, Native River. The latter stormed into the lead but Might Bite refused to let his rival out of his sight, and they fought tooth and nail for supremacy over 22 fences and three and a quarter miles. On the run to the home turn, Might Bite finally drew up alongside him, and everyone expected the favourite to go on a seize glory. After all, frontrunners had crumbled all week in tough conditions on the demanding home straight. But Native River is made of sterner stuff and he somehow found extra reserves, rallied and surged clear, eventually vanquishing Might Bite by four and a half lengths. Native River is the second favourite in the ante-post betting for this year’s Gold Cup, behind Presenting Percy, while King George victor Clan Des Obeaux is also in the mix along with Road To Respect, Al Boum Photo and Thistlecrack, with Might Bite considered an outsider this time around.